Latvia has recorded its lowest ever viewing figures for a final of the Eurovision Song Contest as less than 95,000 viewers tuned in to last months show. Just 93,800 viewers watched the final of the Eurovision Song Contest 2018 in Latvia. 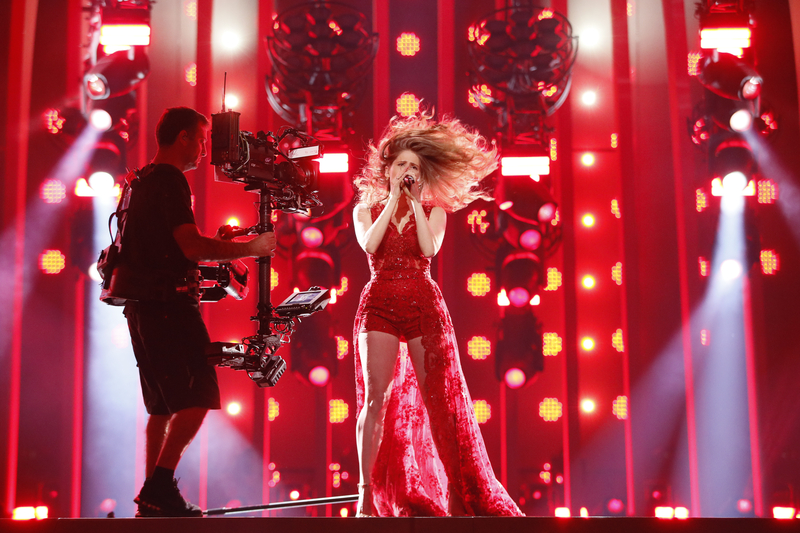 The contest recorded its lowest ever viewing figures for a contest final in Latvia, as viewing figures fell under 100,000 viewers for the first time in the nations history. Of the publicly available viewing figures only the US broadcast on Logo TV recorded a lower number of viewers. The previous lowest number of viewers to watch a Eurovision Song Contest final was in 2013 when 132,000 people watched the show live from Malmo, Sweden. While the largest number of viewers was recorded in 2003 when Latvia hosted the competition, a total of 1.8 million viewers watched the contest live from Riga. Laura Rizzotto represented Latvia at the 2018 Eurovision Song Contest in Lisbon, Portugal. With her song “Funny Girl”, she narrowly missed out on qualifying, placing 12th in the second semi-final with 106 points. Laura began her musical career in 2009, going on to sign with Universal Music Brazil and releasing her debut album Made In Rio in 2011. A year later she performed as the opening act for Demi Lovato in her performances in Brazil and later went to work with Jennifer Lopez as a Portuguese language coach for a few years. She also released several singles and an EP. Latvia debuted in the Eurovision Song Contest in 2000, being the last of the Baltic nations to join the contest. On their debut, Brainstorm finished in 3rd place with the song “My Star”. Latvia won the contest for the first and only time in 2002, with Marie N’s “I Wanna”. Latvia only participated in 2002 thanks to the withdrawal of Portugal from the contest, as Latvia’s poor result in 2001 had relegated them from the 2002 contest. Latvia struggled in to the contest after 2002, failing to qualify for the final for six years between 2009 and 2014. In 2015 and 2016 Latvia has finished 6th and 15th in the final respectively.